Tester from April 2011. "Heart" and a part of "Brain" of St-Petersburg association of testers and analysts. Нe presses towards to see everything himself and to get at the heart of the matter, leaves everything in order after himself. In spare time he reads a lot, listens to "Aquarium". He is a good company, a lover of stories, a great theatre-goer. The founder of the analysts community in St. Petersburg. Denis has involved in a system and business analysis since 2001. He has participated in projects on the analytical systems development for the international financial institutions, e-government, state registry systems, ERP-systems (agro-industry), projects on automation and optimization of business processes (passenger transportation on the railway / HR management), electronic document management systems. Candidate of Technical Sciences. The author of 12 scientific papers. Second Ukrainian certified business analyst on the Certified Business Analysis ProfessionalTM (CBAP®)) program of the International Institute of Business Analysis. In 2013 he received the Ukrainian IT Awards-2013 as the best specialist in the field of business analysis in Ukraine. Member of the International Institute of Business Analysis (IIBA), coach of the Kiev branch of IIBA. Resource Manager of system analysts team at Kaspersky Lab, the team lead of systems analysts in the past, an active member of uml2.ru analysts community. More than 10 years in IT, mainly in product development (boxed products for individual and corporate customers, customizing them for specific customers). Worked in testing (from tester position to the head of department), created a technology of software development. Now is engaged in the development of system requirements for cloud services and methodological support of system analysis processes. Sphere of interests: system analysis methodology and its application in practice for the design of infrastructure and cloud services, the methodology of software development processes, tool support software development processes, dancing and sailing. Speaker at SAF 2010, 2011, 2013, SEF, Req Labs 2012, CodeFest 2013, Analyst Days 2013, 2014, 2015, and at events of analysts community. Author and host of two seasons the club practical system analysis at Stratoplane. Author and host of custom courses on usage of Enterprise Architect for specific projects. 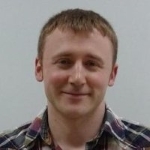 Maxim Tsepkov is a co-founder and the chief software architect at the directorate development solutions in CUSTIS company since 1996, he has master degree from Moscow Institute of Physics and Technology, Control/Management and Applied Mathematics department, has many author’s certificates. The main author’s area of interests is the architecture of enterprise information systems, especially searching for balance between the common architecture patterns and practice of specific customized development for unique business processes. Maxim Tsepkov is an expert in business and system analysis, deployment and development architecture patterns, models and diagrams. Many CUSTIS projects based on several frameworks that developed under the guidance of Maxim Tsepkov. He is the main designer of the application patterns for information system named as Accounting Engine and accounting diagrams, used for visualization and desining of accounting. This technologies used in all company’s projects for business. In fact, Maxim contributes to most of company’s projects. He is competent in design of distributed systems, system integration, and graceful deployment process, when new system gradually replaced the old system without any business-process disturbance. Maxim contributes to evolution of agile software development process in company and practice of team software design. He is an active of professional conferences and author of various publications in CIO magazines. 5 years in the role of a training courses developer and a teacher at St. Petersburg State University and ITMO University. Developed a course on systems analysis for beginners in IT analysis. Co-founder of St. Petersburg community of system analysts. Positive Certified Business Analyst (CBAP). The founder of the business and system analysts community - analyst.by. Distributes business analysis professionally at the training center IT Mine. Do good at usability studio UXpresso. Practitioner Agile Analyst, Trainer and Coach. Certified ScrumMaster (CSM) and Certified Scrum Product Owner (CSPO). Certified Scrum Professional (CSP) candidate. Over 8 years of professional experience in the IT sector, the last 4 of which were mainly involved in Agile Software Development projects, gaining more than 7 500 hours of pure practice. Current field of activity outside the main work in Itransition company – open BDD volunteer projects within #NoBA (Not only business analysis) initiative, which attracted analysts, developers and QA engineers interested in the application of industry best practices to achieve socially useful purposes. Active speaker at conferences about System Analysis and Agile Software Development. More than 5 years of experience in coaching and teaching, authoring training and courses on project management, leadership and team management, software development methodologies, requirements management, enterprise architecture and software. Trainer and consultant, expert practitioners in the field of analysis and business process modeling, system analysis, system and software engineering, software architecture, design tools and communication methods and databases. At present specializing in the development and implementation of corporate information systems for large and medium-sized businesses and the training of specialists in the field of information technology involved in their creation and maintenance.